The Emory Dance Program welcomes artist and activist Alexia Jones of R2ISE for a series of events Sept. 13-15 focused on the power of the arts to create a safe place for those in recovery and their allies. With the beginning of the 2018-2019 academic year comes a full lineup of arts events on campus. September’s highlights include film classics from the master of suspense, Alfred Hitchcock, a dance-theater performance tackling substance abuse and recovery, and the start of this year’s Candler Concert Series. The Emory Film and Media Studies department presents their Fall Cinematheque Series, “Hitchcock/Hitchcockian,” Wednesdays at 7:30 in White Hall 208. The series kicks off Sept. 5 with Hitchcock’s silent film, “The Lodger” (1927), featuring live musical accompaniment by acclaimed pianist Donald Sosin. Additional screenings this month include “The 39 Steps” (1935), “Rebecca” (1940) and “Shadow of a Doubt” (1943). Join artist Chantelle Rytter on Friday, Sept. 7, at 6:30 p.m. for the Third Annual Carlos Museum Beltline Parade Lantern Workshop and find inspiration for your design in the Carlos Museum’s exhibitions. Also at the Michael C. Carlos Museum this month, the Carlos Reads book club tackles Ovid in the #MeToo Movement, Mondays, Sept. 10, 17 and 24 at 7:30 p.m. On Thursday, Sept. 13, Ruby Lal, professor of South Asian Studies, delivers a lecture based on her new book, “Empress: The Astonishing Reign of Nur Jahan,” uncovering the rich and complicated world of the dazzling historical figure. Music at Emory returns this month with recitals from faculty member Timothy Albrecht on Sunday, Sept. 9, at 4 p.m. and artist affiliate Roy Harran, performing Sunday, Sept. 16. The Emory Chamber Music Society of Atlanta performs “Music for a Wedding!” Friday, Sept. 14, at noon and presents “Emory’s Kings of Keyboard” featuring Emory’s own classical pianist William Ransom and jazz pianist Gary Motley, Saturday, Sept. 22. Rounding out the month for Music at Emory is the opening concert of the 2018-2019 Candler Concert Series, composer for film and TV Max Richter with the ACME Ensemble, Friday, Sept. 28 at 8 p.m. All of the concerts take place in Emerson Concert Hall of Schwartz Center for Performing Arts except for “Music for a Wedding!”, which will be in Ackerman Hall of the Carlos Museum. The Emory Dance Program welcomes artist and activist Alexia Jones of R2ISE for a series of events focused on the power of the arts to create a safe place for those in recovery and their allies. 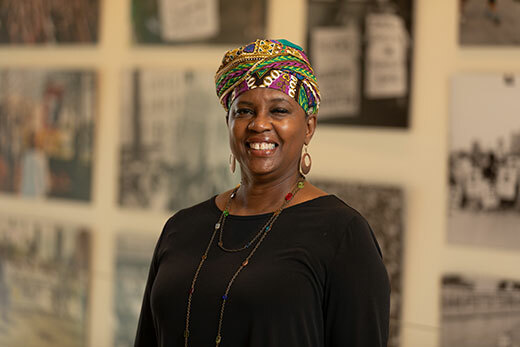 Thursday, Sept. 13, at 7 p.m., Jones participates in “Portrait of an Activist: A Conversation with Alexia Jones of R2ISE,” a part of the Rosemary Magee Creativity Conversation Series. In “Chronicles of Hope,” Friday, Sept. 14, and Saturday, Sept. 15, in the Schwartz Center’s Dance Studio, a diverse group of people challenged with mental health disorders and substance abuse along with their allies perform stories of hope, courage and recovery. Finally, Jones presents a workshop on The Art of Cultural Agility, Saturday, Sept. 15, at 10 a.m. The Creative Writing Program Reading Series 2018-2019 kicks off Friday, Sept. 21, at 4 p.m. in the Jones Room of the Woodruff Library as visiting faculty members read from their work. On Wednesday, Sept. 26, at 7 p.m., Randy Gue, Rose Library curator of modern political and historical collections, will lead a conversation with Kosmo Vinyl about the intersection of punk music, DIY culture and art. A London-born, New York-based record producer, manager and artist, Vinyl is best known for his long association with The Clash.